The bill has received widespread bi-partisan support among lawmakers, with it passing both the House and Senate unanimously. The issue of marine debris has become an increasing problem on the international stage. National Geographic reported in 2015 that 5.25 trillion pieces of plastic is in the world’s waters, with 269,000 tons of it floating on the surface and around four billion plastic microfibers per square kilometer sitting deeper in the ocean. 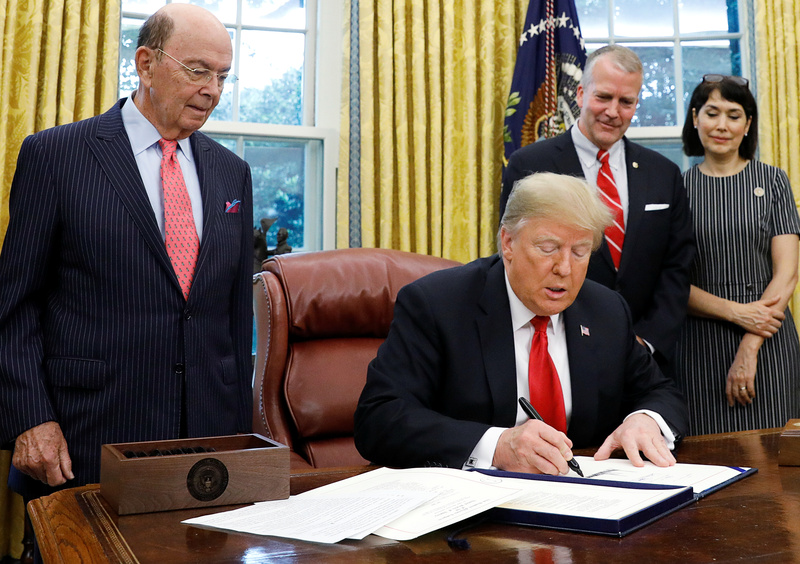 Trump stated that previous administrations “did absolutely nothing” to address the problem of foreign governments dumping their waste into the ocean and it landing on American shores — leaving it up to the U.S. to clean up and pay. The president went on to say that the White House has notified other governments “very strongly” of the changes to come.